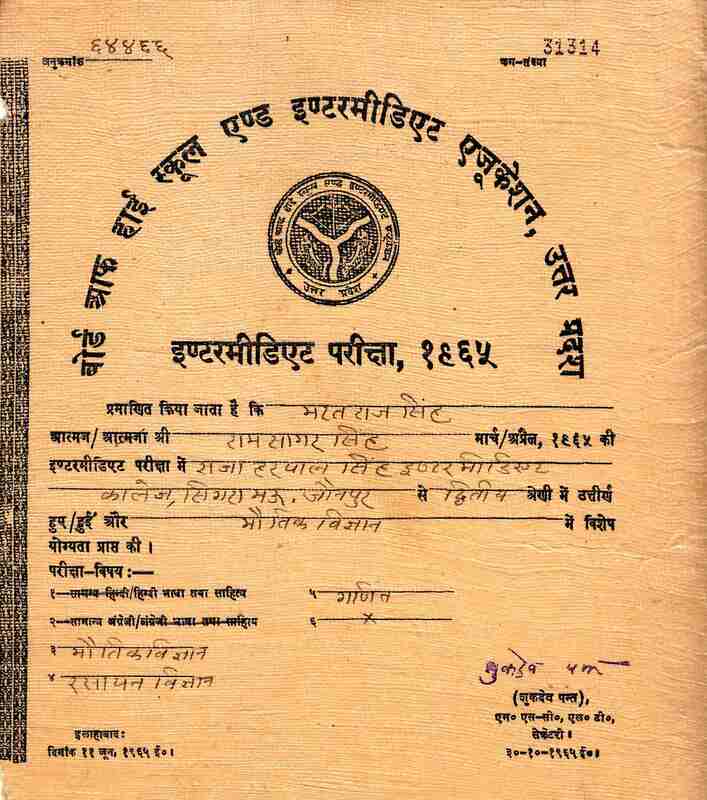 High School from National Inter College, Kadipur under UP Board in 1963. 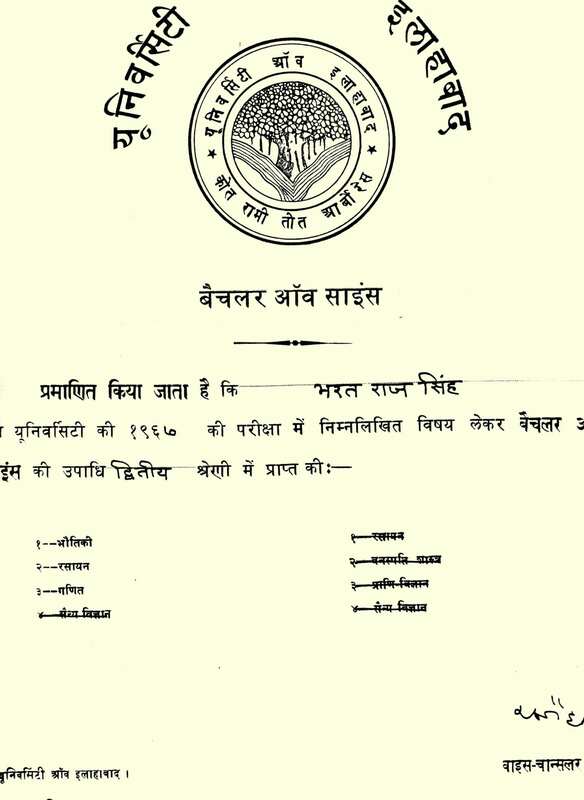 Intermediate Science from Raja Harpal Singh Inter College, Sigramau, Jaunpur under UP Board in 1965. 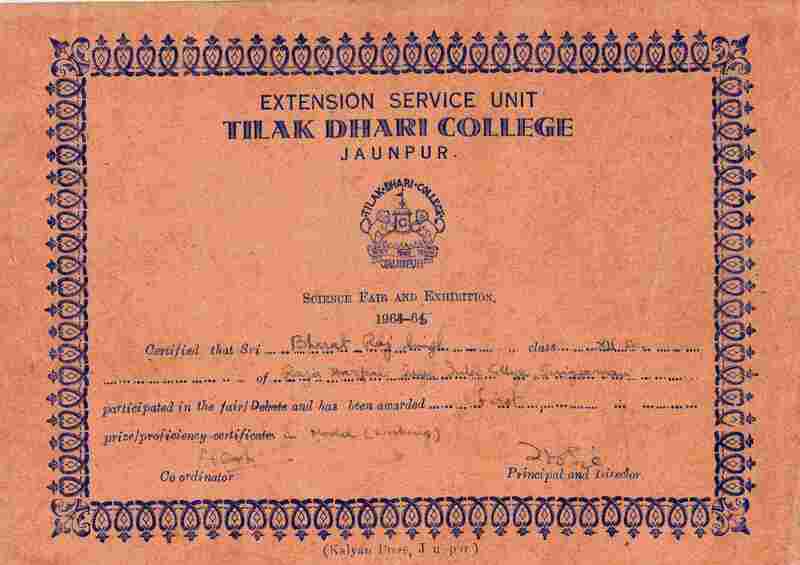 Awards / Recognitions:1965-(1). 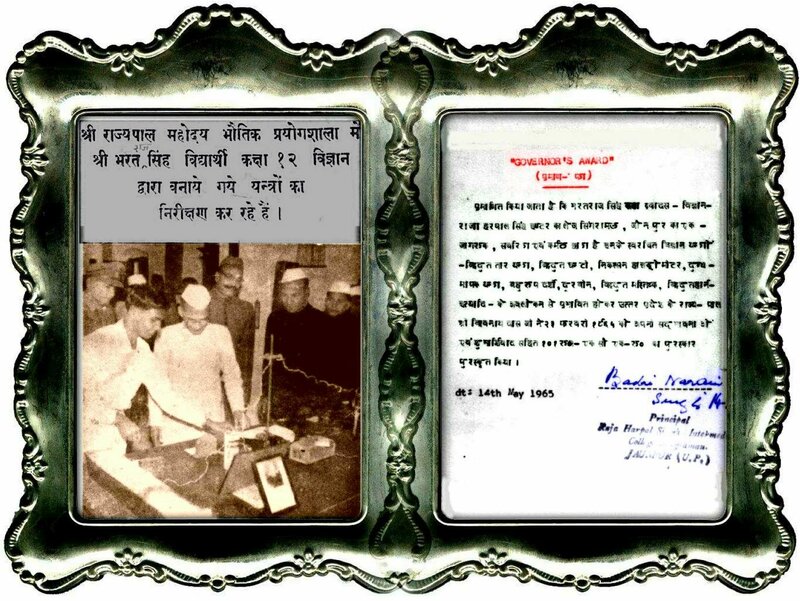 Governor's Award / (2). Scientic Fair- Ist Prize at TD College, Jaunpur / (3).Zonal Scientific Award-First Prize at Raja Harpal Singh Inter College, Singramau. 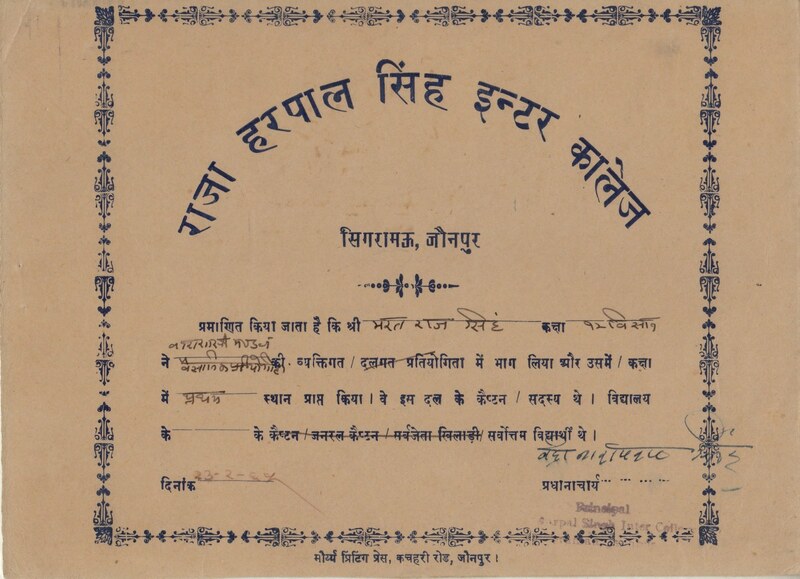 Bachelor of Science (PCM) from Allahabad University in 1967. 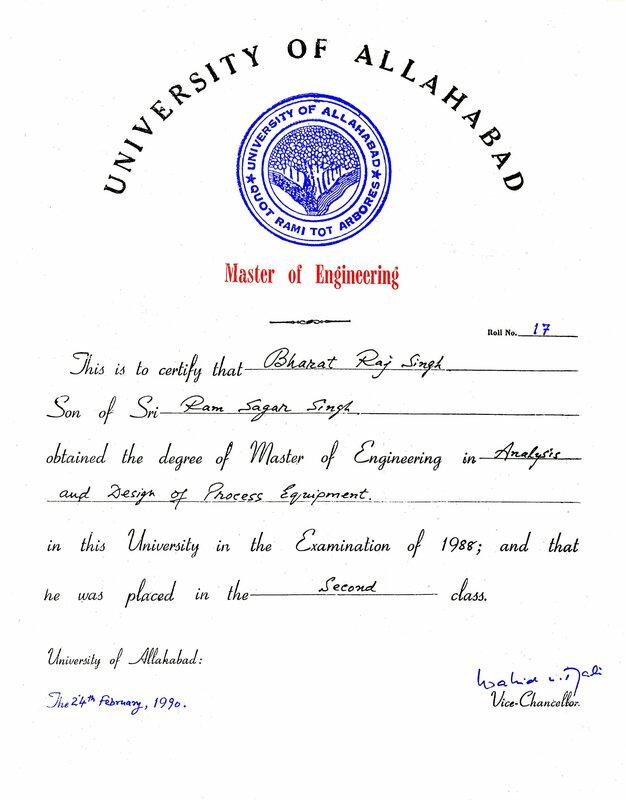 Master of Engineering (Analysis and Design) from MNNIT, Allahabad University in 1988. 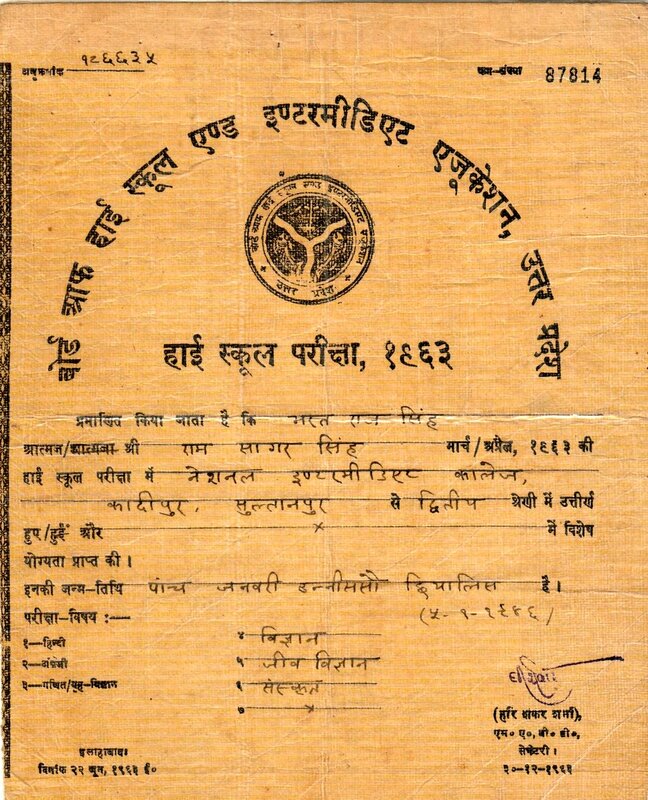 M.B.A.(Human-Resource) from Indian Council of Management Executive,Bombay in 1994. 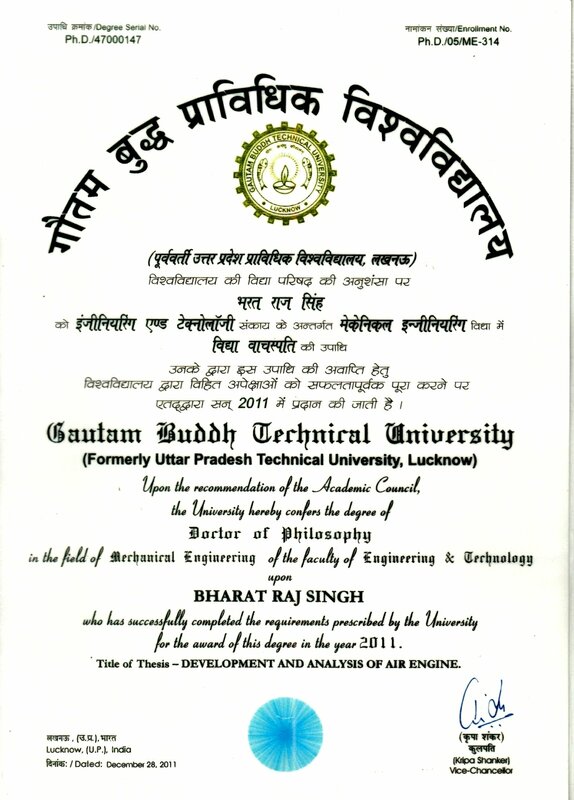 Ph.D.-Development Analysis of Air Engine from GB Technical University, Lucknow, India in 2011. 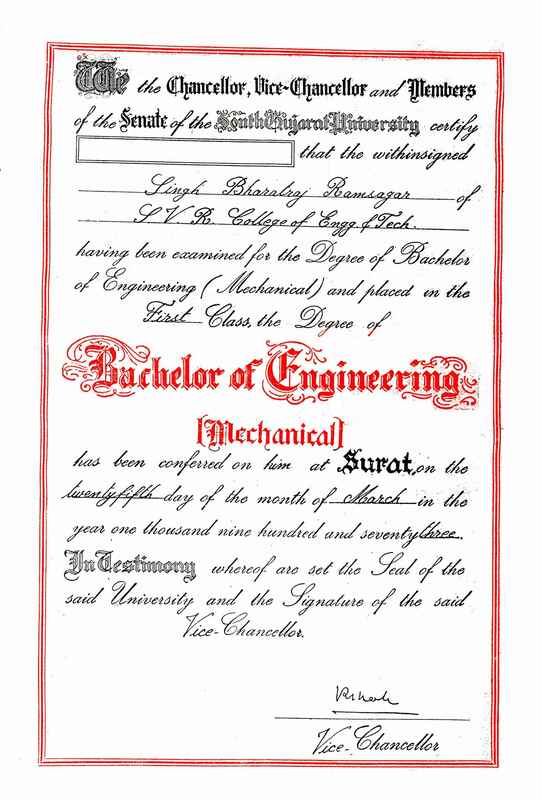 (i) PhD-Viva held on May 8, 2011-Download: Provisional Certificate issued on May 18, 2011; Print media: On May 08, 2011- a)Swatantra Bharat News / b)Sahara News.